For decades, health officials have battled malaria with insecticides, bed nets and drugs. Now, scientists say there might be a potent new tool to fight the deadly mosquito-borne disease: the stench of human feet. In a laboratory study, researchers found that mosquitoes infected with the tropical disease were more attracted to human odors from a dirty sock than those that didn't carry malaria. Insects carrying malaria parasites were three times more likely to be drawn to the stinky stockings. The new finding may help create traps that target only malaria-carrying mosquitoes, researchers say. "Smelly feet have a use after all," said Dr. James Logan, who headed the research at the London School of Hygiene and Tropical Medicine. "Every time we identify a new part of how the malaria mosquito interacts with us, we're one step closer to controlling it better." The sock findings were published last month in the journal, PLoS One. Malaria is estimated to kill more than 600,000 people every year, mostly children in Africa. Experts have long known that mosquitoes are drawn to human odors, but it was unclear if being infected with malaria made them even more attracted to us. Infected mosquitoes are believed to make up about 1 percent of the mosquito population. Using traps that only target malaria mosquitoes could result in fewer mosquitoes becoming resistant to the insecticides used to kill them. And it would likely be difficult for the insects to evade traps based on their sense of smell, scientists say. 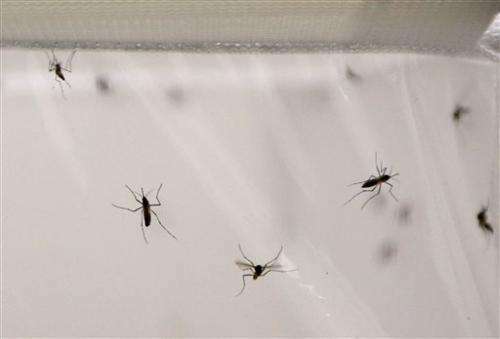 "The only way mosquitoes could (develop resistance) is if they were less attracted to human odors," said Andrew Read, a professor of biology and entomology at the University of Pennsylvania, who was not part of Logan's research. "And if they did that and started feeding on something else—like cows—that would be fine." Read said the same strategy might also work to target insects that carry other diseases such as dengue and Japanese encephalitis. In a related study, Logan and colleagues also sealed human volunteers into a foil bag to collect their body odor as they grew hot and sweaty. The odors were then piped into a tube next door, alongside another tube untainted by human odor. Afterwards, mosquitoes were released and had the option of flying into either tube. The insects buzzed in droves into the smelly tube. Logan said the next step is to identify the chemicals in human foot odor so that it can be made synthetically for mosquito traps. But given mosquitoes' highly developed sense of smell, getting that formula right will be challenging. Some smelly cheeses have the same odor as feet, Logan noted. "But mosquitoes aren't attracted to cheese because they've evolved to know the difference," he said. "You have to get the mixture, ratios and concentrations of those chemicals exactly right otherwise the mosquito won't think it's a human." 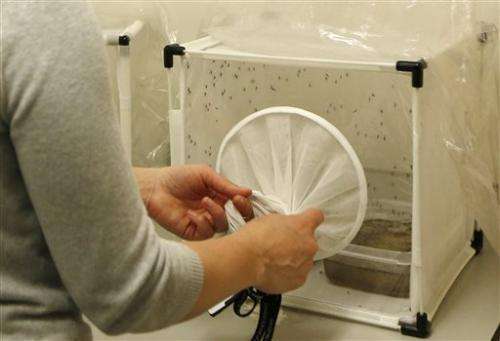 Scientists said it's crucial to understand the subtleties of mosquito behavior. Other studies have shown mosquitoes don't become attracted to humans for about two weeks—the time it takes for the malaria parasites to become infectious for humans. "At the moment, we only have these glimpses of how parasites are manipulating the mosquitoes," said George Christophides, chair of infectious disease and immunity at Imperial College London. "We need to exploit that information to help us control malaria."